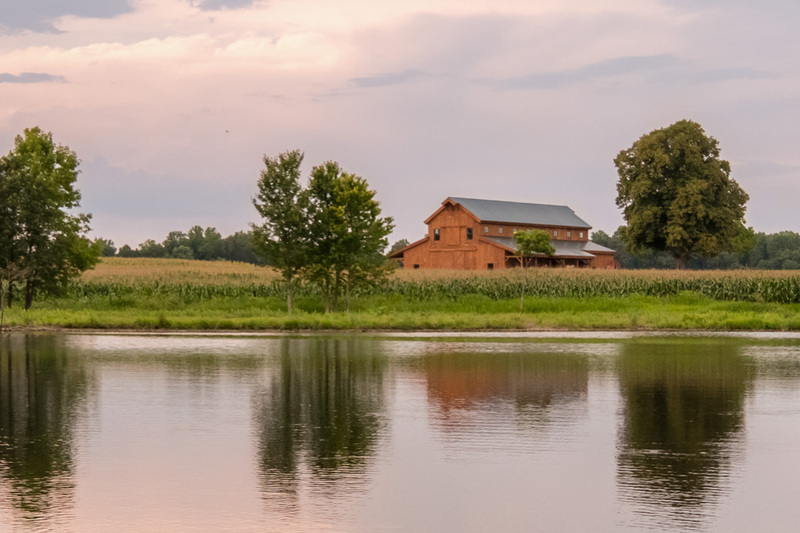 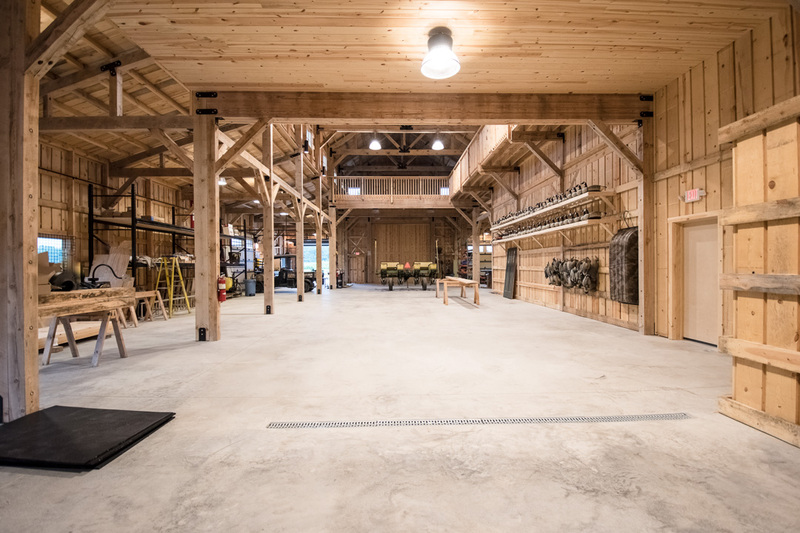 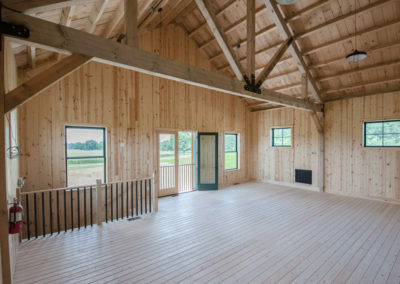 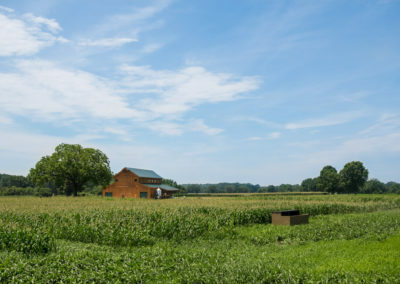 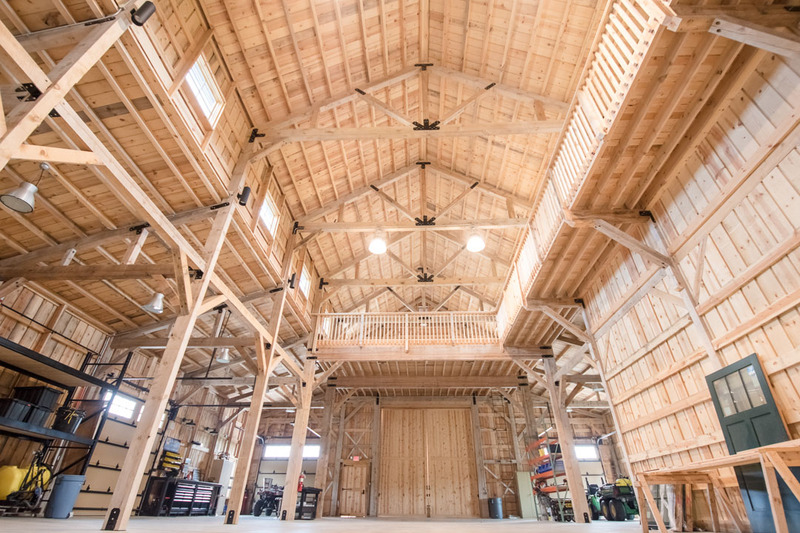 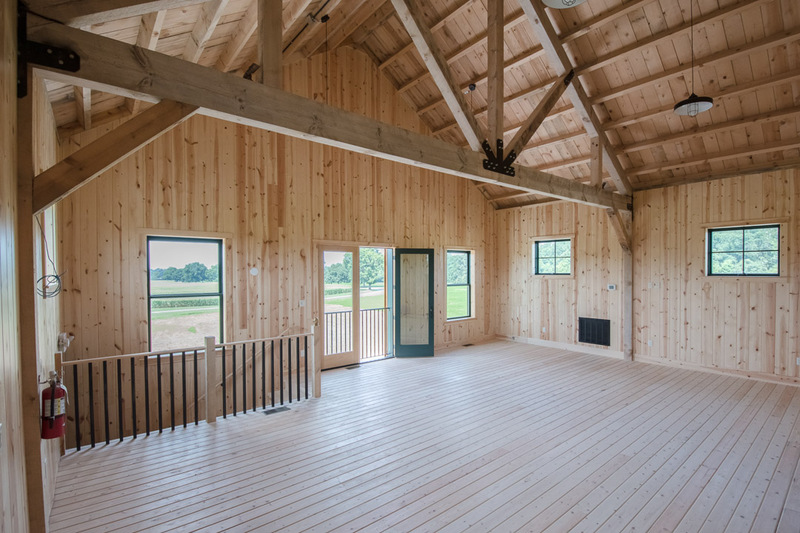 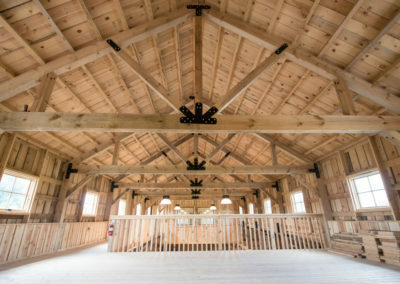 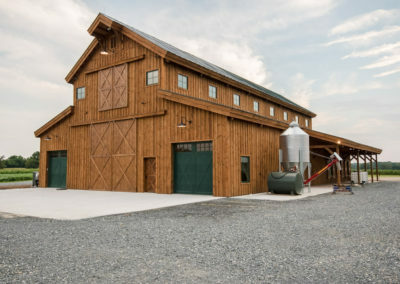 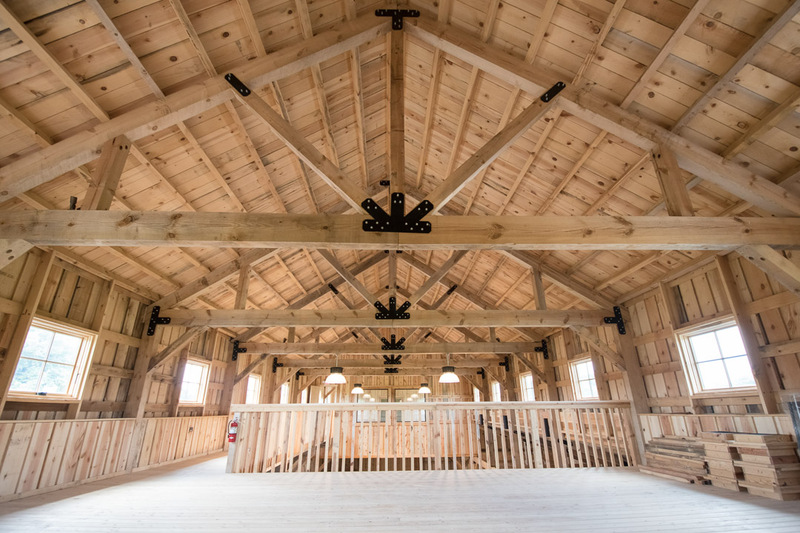 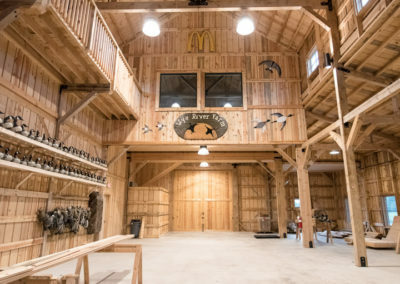 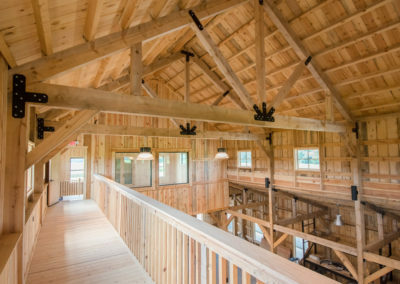 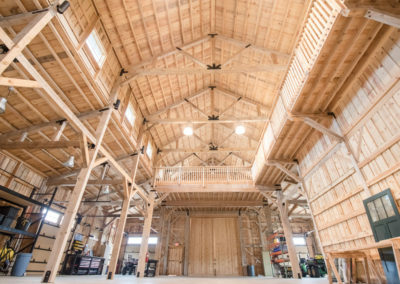 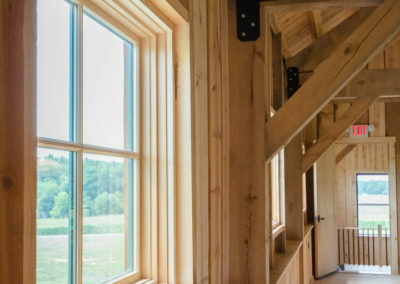 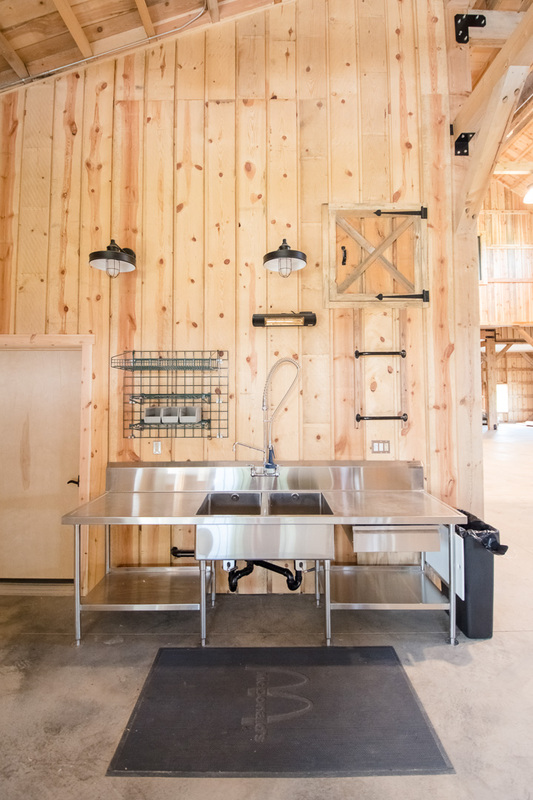 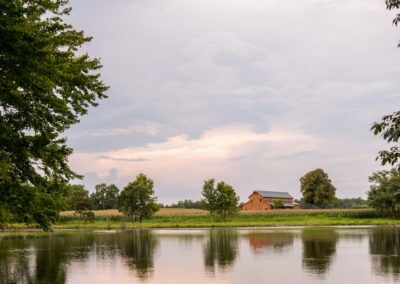 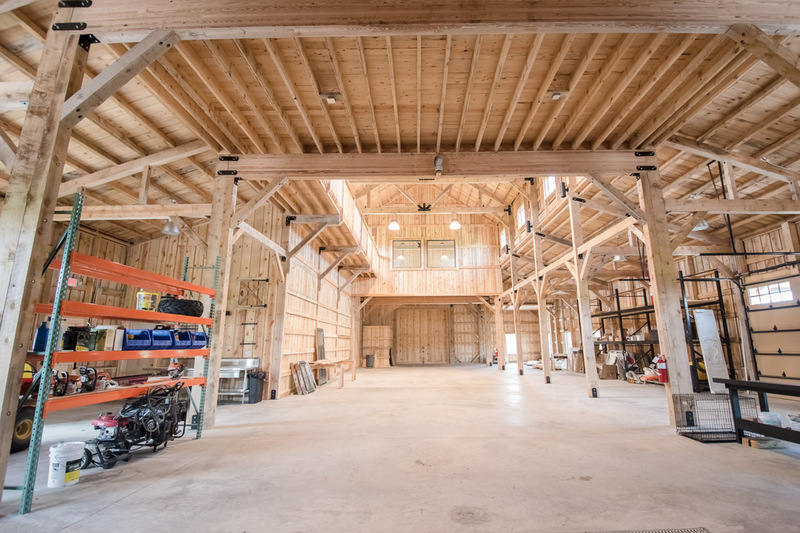 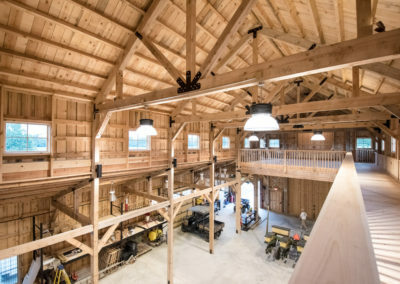 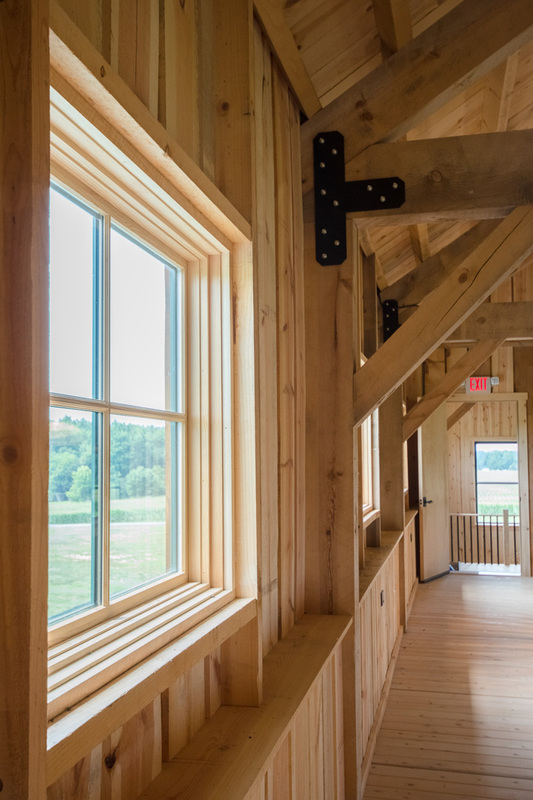 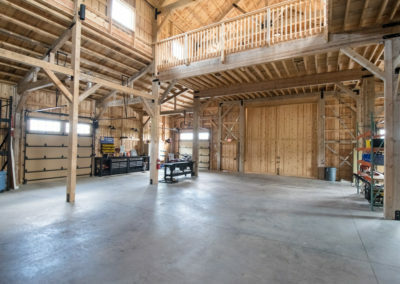 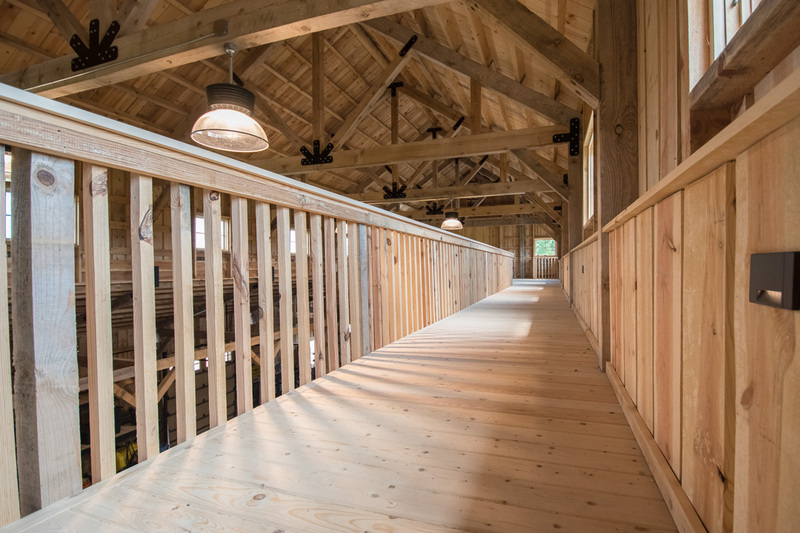 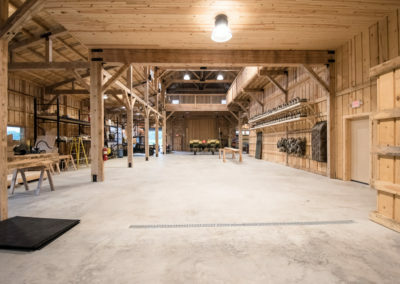 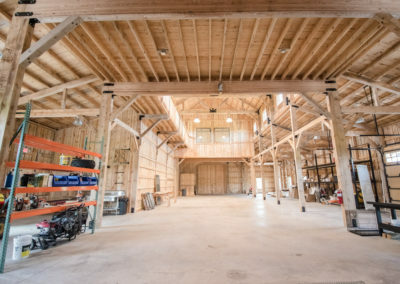 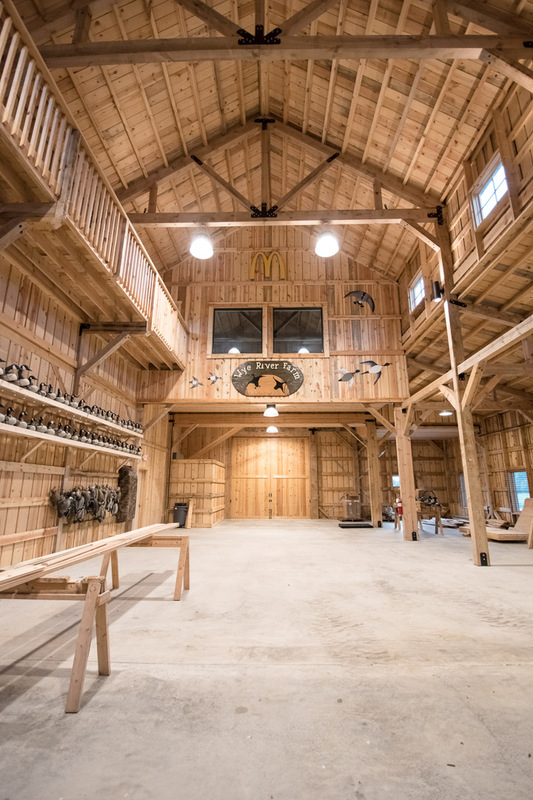 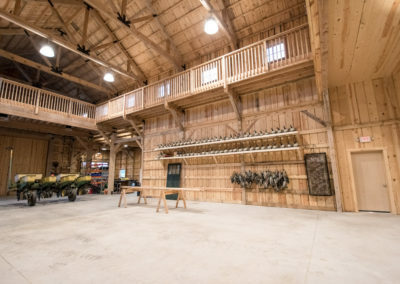 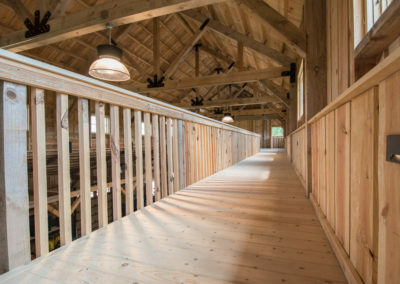 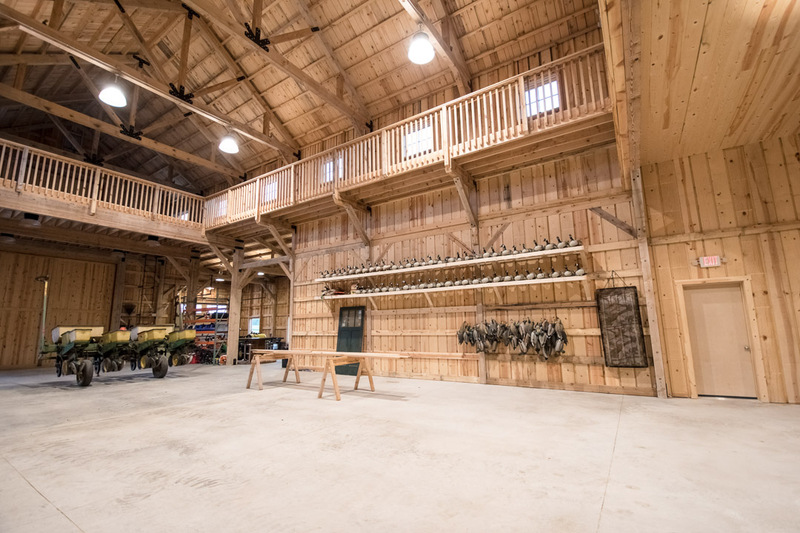 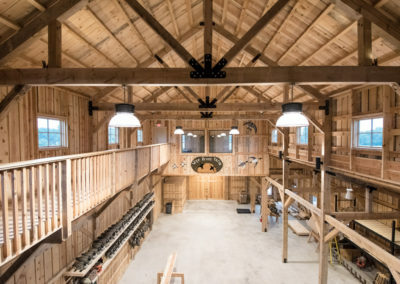 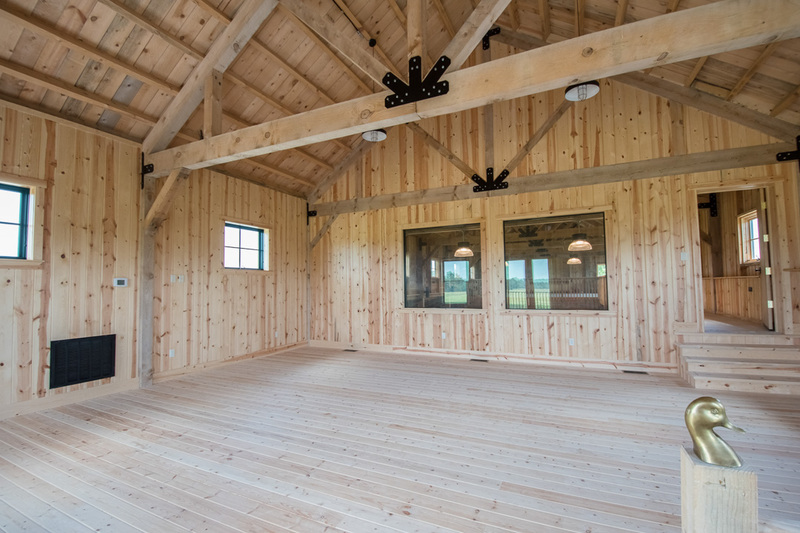 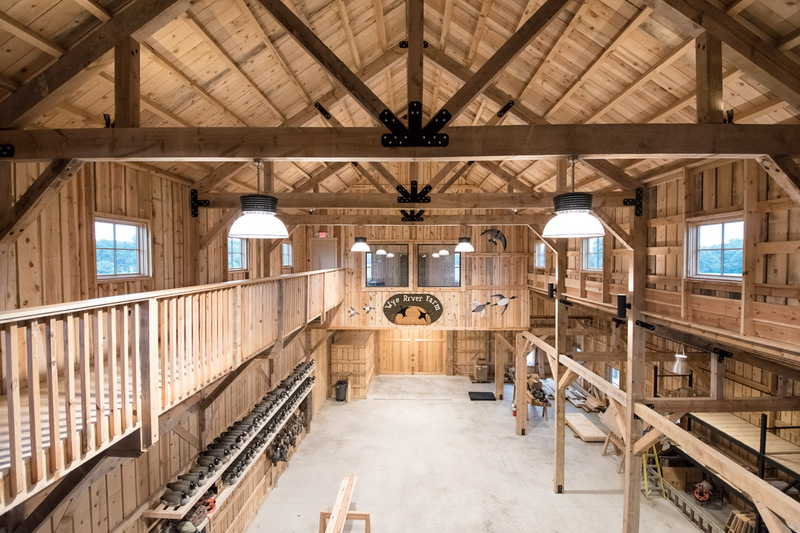 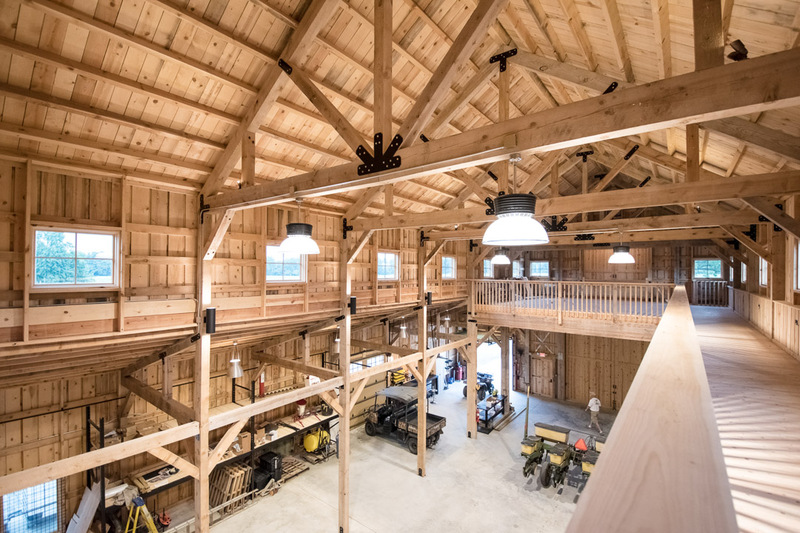 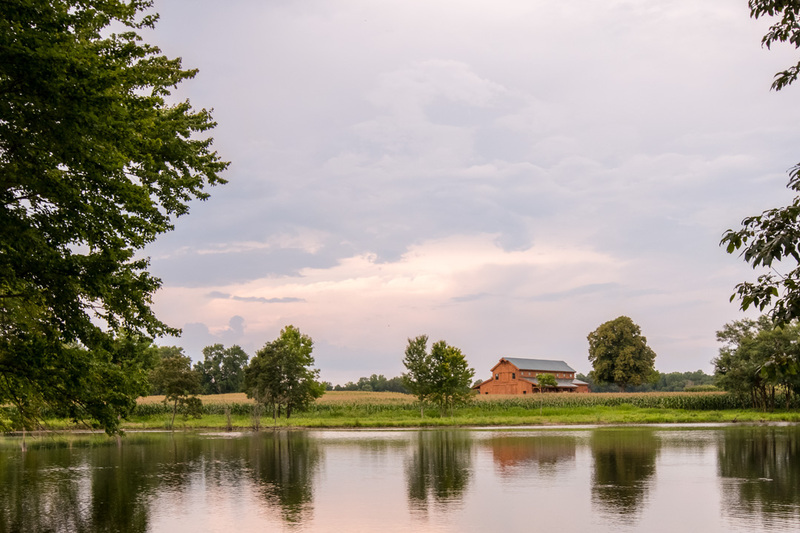 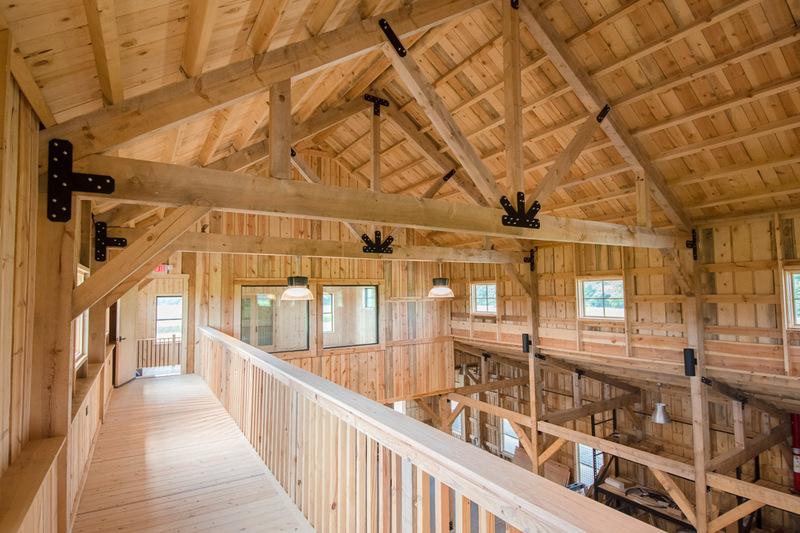 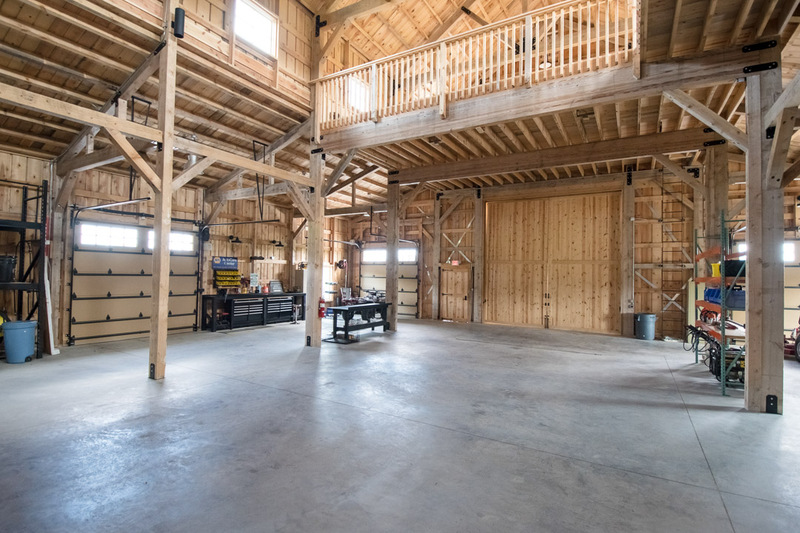 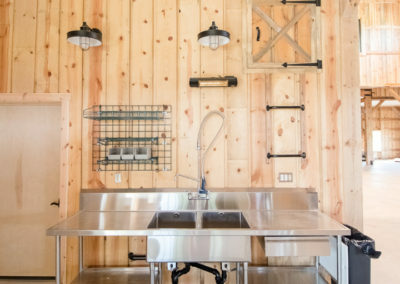 Nestled on a sprawling 600-acre waterfront farm, this barn was built to support agricultural activities during planting season, and to serve as a family hunting center in the winter. 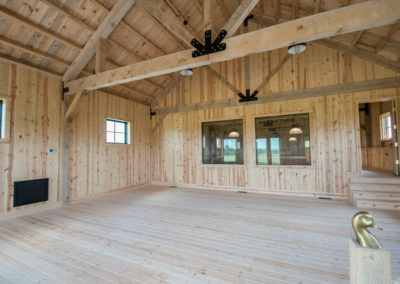 The post-and-beam structure, from Sand Creek Post & Beam, boasts ponderosa pine framing, siding and interior finishes. 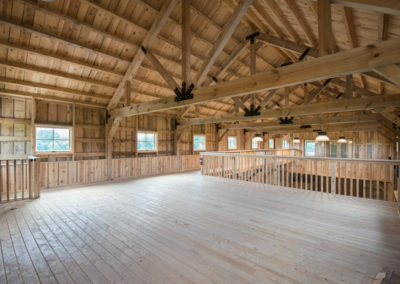 Its utilitarian functions mask its extensive modern amenities.